HVAC systems are a luxury that many of us take for granted. It has impacted our way of life in ways too numerous to list here. Let’s take a look at some of the ways HVAC technology has improved our comfort and health. You may not think HVAC systems are the most interesting thing in the world, but these facts may surprise you. In 1902, Willis Carrier invented the modern air conditioner to help the Sackett-Wilhelms Lithographing and Publishing Company fix their printing problems. High heat and humidity was causing the paper to change size as it ran through the press, causing problems with the inking process. While cooling methods were available, there was no way to control the humidity. Carrier’s invention was able to cool the indoor space while maintaining a consistent indoor humidity level. Later, Carrier formed the Carrier Engineering Corporation, which is worth over $13 billion today. Although Carrier invented the first air conditioner in 1902, residential units were still a far way off. The first residential air conditioner was installed in 1914 and was enormous—over 7 feet high, 6 feet wide, and 20 feet long. Despite the size, people were willing to spend around $10,000-$50,000 for one. In today’s time, that would be $120,000-$600,000! Only the extremely wealthy were able to afford residential air conditioning units. The next time you complain about the high cost of a new HVAC system, remember what they used to cost. Herbert Hoover was the first U.S. president to have air conditioning in the White House. The U.S. government spent $30,000 to have an air conditioning system installed. Due to the lack of air conditioning in summer, schools and businesses would shut down for the summer. The tradition continues today, and in most European countries workers still receive about a month off of work. Before air conditioning units became affordable for residential homes, one of the only places that had them were movie theaters. To escape the summer heat, people would go to the movies. As a result, production companies and marketers saved their best films for the summer months, giving rise to the “Summer Blockbuster.” The tradition carries on today. Air conditioning units were too expensive for most people until technological advancements made them more affordable. 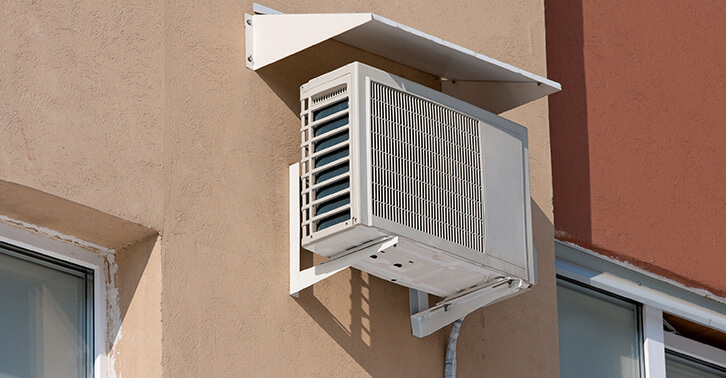 In the 1970s, central air conditioning began to be more commonplace. 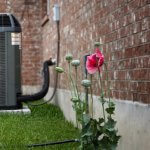 In the U.S., around 90% of home have an air conditioning system. 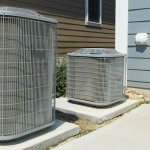 Today’s air conditioning units are a lot smaller, quieter, and less expensive. Air conditioning technology continues to improve, making them safer, smarter, and more energy efficient. As an example, R-22 refrigerant is being phased out in favor of a more environmentally friendly R401A refrigerant. Air conditioning doesn’t just improve comfort and productivity; it also saves lives! Heat-related deaths fell around 80% over the course of the 20th century, almost entirely after 1960 when residential air conditioning became widely used. The diffusion of air conditioning units can explain almost the entire decline in heat-related fatalities (Journal of Political Economy). Want to learn more about air conditioning? 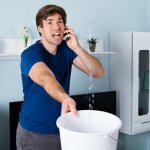 Why Is Water Leaking from My AC Unit?